So, here it is. The Fifth Edition of the Oxford Textbook of Palliative Medicine (OTPM), 22 years after Derek Doyle’s first edition and appropriately dedicated to the late Geoffrey Hanks, who had been involved from the outset and was senior editor of the fourth edition. At first glance, it’s pretty impressive with 1,200-odd pages and 234 contributors. Looking through the Table of Contents, it is reasonably organized, as you would expect of a 5e. Section 1 is about the worldwide status of palliative care and I was pleased to see Liliana De Lima and the IAHPC Project on Essential Medicines for Palliative Care featured. Section 2 is about the challenge of palliative medicine. Section 3 is about delivering palliative care in different settings. Section 4 is about the interdisciplinary team. Section 5 is about ethical issues and contains an interesting chapter about whether we should accept physician-assisted death as part of palliative care. Section 6 is about communication. Section 7 is about assessment tools and informatics. This is followed by sections on common symptoms (8), pain (9), gastrointestinal symptoms (10), and skin problems (11). Section 12 is about palliative care in cancer patients, followed by sections on cancer pain syndromes (13) and cancer-associated syndromes (14). Section 15 is about non-cancer illnesses. The chapter on HIV/AIDS raised my ire and is discussed below. The other chapters provide reasonable coverage of end-stage pulmonary, cardiac, renal and neurological disease. Section 16 discusses the very young and the very old. Section 17 is about psychosocial matters. Section 18 is about the terminal phase and I felt this (important) material should have been presented in earlier sections; it’s sort of left hanging out there to dry between psychiatry and research at the end of the book. The final section is about research in palliative medicine. Thumbing through the chapters, I noticed a lot of updating but nothing radically new. I was frustrated on several occasions by not having access to quoted references. In some chapters, all the references are presented, but in others you have to go to the website, which I thought was a hassle. The book comes with a free 12-month subscription to the website, but after that? I’m old fashioned, and think that for this price, you get the references. If it’s a purely economic question, there are at least three chapters in this book that are made redundant by The Oxford Textbook of Palliative Care for Children 2e (which did not exist when the first few editions of OTPM came out). And the use of numeric references to replace the author/date system used would save pages. The chapter on Barriers to Palliative Care provides a reasonable overview of the international situation and I am aware of the mountains that those in developing countries face. Ethnic, cultural and religious minorities in developed countries are discussed, but probably account for only a small fraction of those not referred and I thought the discussion needed to be much wider. Take a rich country like Australia (with universal health cover that includes palliative care) – what are the personal, societal, professional and institutional barriers that result in large numbers of patients who might benefit from palliative care being either not referred or not in a timely fashion? The chapter on Euthanasia and Palliative Care provides a good discussion about the meaning and ambiguity of many terms used to discuss the need for physician-assisted death, and for two authors, whose first language is not English, they have done a pretty good job. But there are no progress figures given for the various places where physician-assisted death is practiced, or the level of abuse (e.g. euthanasia without request in The Netherlands), which I would have liked to see. How the Belgians talk about physician-assisted death being a normal and necessary part of palliative care (‘palliative care and euthanasia are neither alternatives nor opposites’), is a little beyond me. This chapter is more about the possible forced inclusion of physician-assisted death into palliative care in the future, which makes it important reading. Whilst the proponents of physician-assisted death go on about unrelieved pain and the inability of palliative care to resolve 100% of symptoms, I note the most frequent reasons for people going down the assisted death path in Switzerland are existential distress and the fear of loss of control; quite similar to Oregon, where concerns about pain are sixth on the list and losing autonomy, the diminished ability to engage in life’s enjoyable activities, and loss of dignity consistently head the list. The preamble to the chapter on HIV/AIDS – that they are only going to discuss a small number of patients who live in a rich country and who are on optimal therapy – is quite unacceptable and should have been recognized as such by the responsible editor(s). It is stated that HIV/AIDS in the USA is a different disease than in the era before effective antiretroviral therapy (ART), and that treated patients can have near-normal life expectancy. And as such, the palliative care needs of these patients have shifted from the treatment of opportunistic infections and end-of-life care, to ‘symptom management, co-morbidity disease management, and chronic care-coordination.’ But then they say that only two-thirds of diagnosed patients in the USA get such care and, of these, 10% do not stay in care. So what about the palliative and end-of-life care needs of the 40% of patients who do not get optimal therapy? You can bet they are not going to have a near-normal life expectancy. There is a reasonable discussion about pain, because that remains a major problem even in those on optimal treatment. It is noted that even patients on optimal therapy have very high symptom burdens, but treatment isn’t discussed. I was told to remember that many HIV-infected patients who die are not dying of HIV/AIDS but of co-morbidities; does it matter whether they die from HIV/AIDS or from something else that is in some way (as yet incompletely understood) related to their HIV infection or its treatment? It made me wonder if all these deaths ‘not due to AIDS’ contributed to the euphemistic statistical projections about near-normal life expectancy. Whilst we are still on the USA, it states that ‘women are also disproportionally affected’ and says that of the 1.1 million people with HIV infection, 280,000 were female. When it comes to the rest of the world, the coverage is appalling. ‘As of 2009, 33 million people were living with HIV infection…[but] over 4 million people are on ART in low-and middle-income countries…’ Doesn’t that mean that 29 million were not? Hardly a word about their clinical course or palliative care needs. In a textbook with an international audience and advertising an ‘international team’ of editors, that is tantamount to saying they don’t matter. The latest figures on the UNAIDS website are for 2012 and show that, outside North America, about 1,580,000 people died of HIV/AIDS. So what about the palliative, medical and psychosocial needs of the 29,000,000 people not on ART, and the end-of-life care needs of the 1,580,000 people who died? Oxford, please make a note – for the next few editions at least, please insist on someone from sub-Saharan Africa (or similar place) writing a chapter on palliative care for HIV/AIDS as it occurs in the developing world. So, how does OTPM 5e rate, overall? It’s updated, well organized and the coverage is good (except perhaps for HIV/AIDS). I think it remains the best book on palliative medicine on the market. I found this a remarkable little book. 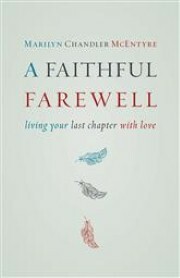 It is written by a man who became a volunteer in the palliative care ward of a large Brussels hospital after he retired. His background includes being an industrial researcher at IBM, administrator of IT research programs for the European Commission, and university professor on Industrial EU Research for Competitiveness. In this volume, all that intellectual power is very practically focused on the meaning of life and the best approach to end-of-life care. The first half of the book is a series of 16 clinical anecdotes, little sketches that illuminate the problems faced by the dying and the problems we have looking after them. He writes extraordinarily well and I was disappointed when I realized there were no more clinical stories to listen to. The second half of the book explains what euthanasia and physician-assisted suicide are, and discusses the current status of palliative care and the (legal) position of physician-assisted death in ten different countries. I warmly recommend this book to anyone who works in palliative care and will leave it to you to decide which of the families and patients you look after might benefit from it. I hope that Stajano can provide us with another volume of stories with his insightful commentary. If you need another reason to buy this book, it says 50% of the royalties will be donated to Fondation Privée Soins Palliatifs Clinique de l’Europe. This is the third of the APOS (American Psychosocial Oncology Society) Clinical Reference Handbook Series, and I thought it was very good. The first section is about screening older patients for both their psychosocial and functional state and what type of interventions is appropriate. It not only sets out the criteria for assessment, it gives you the questions to ask. There are lots of lists and detailed descriptions of how to assess the patient, which are probably common knowledge to geriatricians but a blessing to your ordinary physician. Section II is about psychiatric disorders including emergencies, cognitive disorders and delirium, depressive disorders, anxiety, substance-use and personality disorders. All with lots of lists and tables about how to assess, how to diagnose or categorize, and how to treat. Section III is about physical symptom management – fatigue, pain and sexual dysfunction. 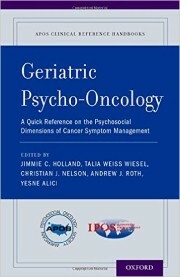 The next section is about special considerations in older patients with cancer and includes chapters on communication, demoralization and despair, caregiver burden, advance directives and minority populations. The last section deals with issues specific to common cancer sites including prostate, breast, lung and colorectal cancers as well as leukemia and lymphoma. I liked this book. Pocket-sized and full of accessible information. Both oncologists and palliative care doctors sometimes struggle with geriatric patients. But the first two chapters tell you what you should be assessing in terms of psychosocial and functional state and gives you the assessment tool(s), and you immediately feel that you are functioning like a geriatrician. The chapters on psychosocial problems are just as well organized, with diagnostic tools, guidelines, checklists and scales. 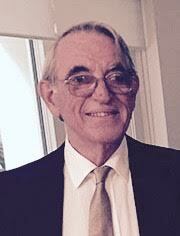 Advice about treatment is geared to the elder population. Immensely practical and providing a good coverage of common things, this book will be of use to anyone who works in oncology and palliative care, particularly trainees. Increasing numbers of older people, dying of chronic diseases, with multiple medical co-morbidities. That is the dilemma of the coming decades, and one that very much involves palliative care. 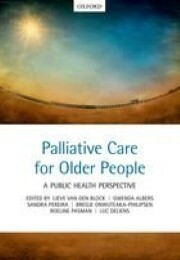 The aim of this book is to provide a worldwide public health perspective on the development and organization of palliative care for older people in order to try and meet these needs. The book is divided into six parts. The first is a general introductory chapter. The second is about the organization of and policies for palliative care for older people and includes six chapters describing practices and policies on different continents around the world. Part III deals with the socio-cultural and clinical issues of dying in old age, including discussions of ethical, cultural and spiritual matters. Part IV addresses the use of and access to palliative care for older people. Part V is about innovative programs from Europe, Australia and elsewhere. The last part is a summing-up. Modern palliative care started very focused on terminal care and cancer. We knew that the principles were applicable to non-cancer diseases, but few had the resources to address that; but over the years it is happening. We also knew that the principles of palliative care should be incorporated earlier in the course of chronic disease management (be it cancer or something else); again, it has taken a long time, but it’s happening. And the speed with which palliative care spread around the globe must have been a source of great satisfaction to Dame Cicely. The next big question is whether palliative care can adapt (and be funded) to help provide optimal care (and that’s not just terminal care) for the increasing numbers of older persons and their chronic diseases. Anyone interested in the bigger, public health aspects of palliative care, or where it is or should be going, will find this book interesting. HPNA Palliative Nursing Manuals. Vol 5. 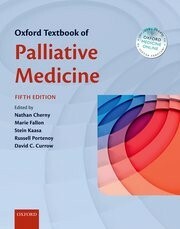 This is the fifth volume in the OUP/HPNA Palliative Nursing Manuals. 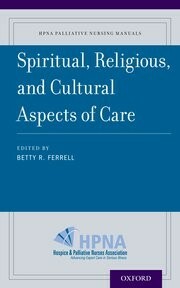 There are chapters on Spiritual Assessment, Spiritual Care, Cultural Considerations, Meaning in Illness, and the Meaning of Hope in the Dying. As in other volumes in this series, there is a lot of information with plenty of lists and tables, but there was perhaps not enough about the process of dying or how to deal with the grief and bereavement of the relatives. 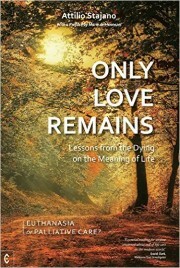 As with the previous volumes, it probably provides good advice to an experienced palliative care nurse, but a broader picture would be obtained from The Oxford Textbook of Palliative Nursing 4e from which this text is drawn or, better still, from The Oxford Textbook of Spirituality in Healthcare. I once worked in pediatric hematology/oncology, but only managing well patients with treated leukemia and lymphoma. I remain in awe reading about how others deal with pediatric palliative care, especially as my 18-month-old granddaughter climbs on my knee hoping to see something more to her taste on the screen. 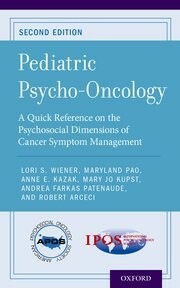 This is the second edition of the American Psychosocial Oncology Society (APOS) handbook about pediatric psycho-oncology. The opening two sections deal with common and hereditary cancers of childhood. The third deals with specific symptom management – nausea and vomiting, anorexia and fatigue, pain, anxiety and depression, fertility and sexuality, and psychiatric emergencies. The next sections deal with treatment issues and interventions, supportive care considerations, and special issues related to pediatric oncology. I do not feel in a position to judge a book on pediatric psycho-oncology, but leafing through this volume suggests it is full of information with lots of tables and lists. The accessibility of the information is paramount. I think it would be very useful to anybody involved in pediatric oncology and palliative care. The Rev. Dr. Donna Schaper is the senior minister at Judson Memorial Church in New York City. 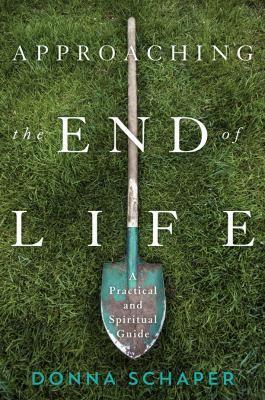 This book is written to provide a spiritual and practical guide for lay people (both the dying person and/or their loved ones) about planning and organizing things to do with the end of life, and the funeral or memorial services that come afterwards. I liked her straightforward, conversational style, and the language was simple and understandable to the average person. Above all, whilst giving what is probably very good advice, I liked her celebration of individuality – no two patients (or two families) will have identical wishes and needs, and she gives permission for you to do exactly what you want or what you think is best. For those of us who work in palliative care, it is useful to know about books like this that you can recommend or loan to appropriate patients and/or their families. Marilyn Chandler McEntyre is a fellow of the Gaede Institute for the Liberal Arts at Westmont College in Santa Barbara, and is professor of medical humanities at the University of California at Berkeley. She is also noted to be a long-time hospice volunteer. This is a collection of 52 meditations on the very real issues faced by the dying – anger, losing control, doubt, shame, loss of privacy, family conflict – and many more. Each is introduced with a biblical quotation and concluded with a prayer and words from hymns. McEntyre writes in the first person, as though she were the dying patient, which I think is very effective. I am not the person to evaluate the worth of this volume, but I believe it could be of great value to devout Christians, and is listed here for that reason.